"Honey, I shrunk the books! 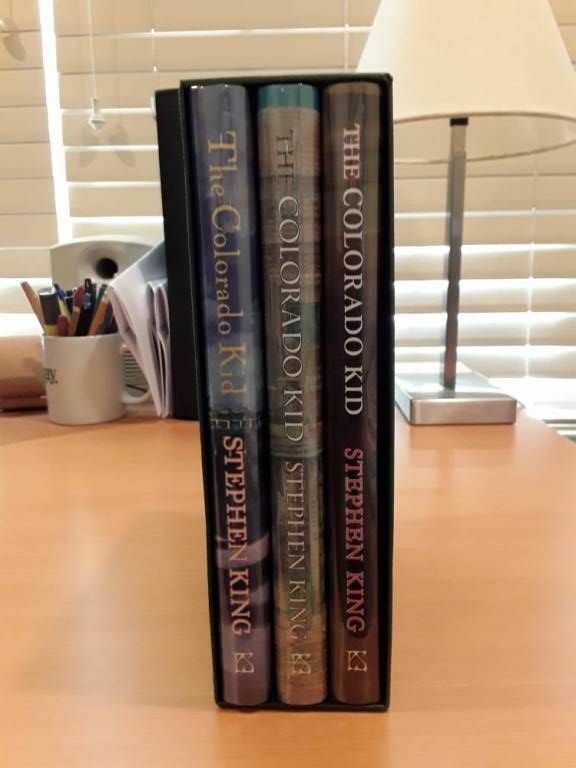 The kids too, but the heck with them, save the King books!" Next stage is done. I will probably show them tomorrow. 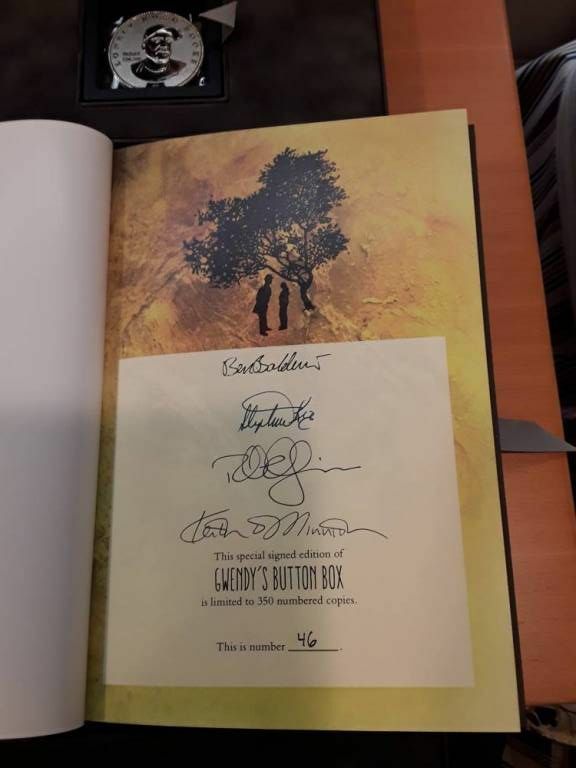 I will start with two unexpected surprises. 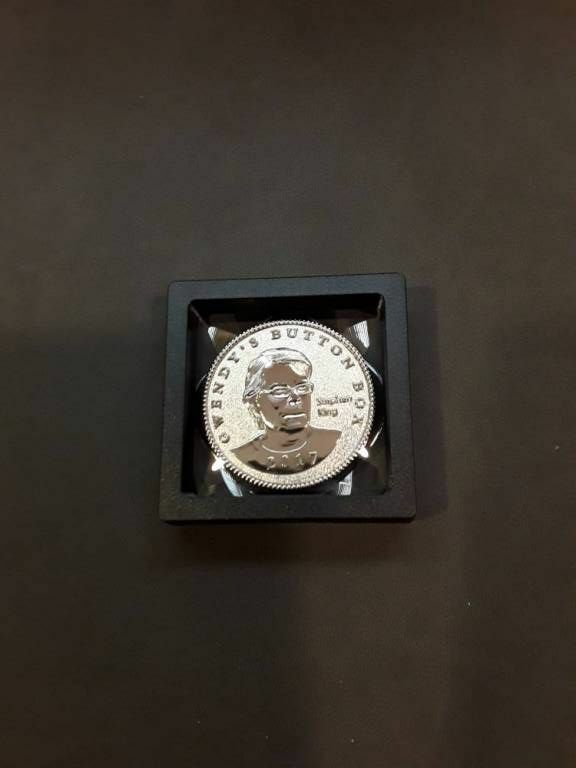 Two really neat proofs. Nice! 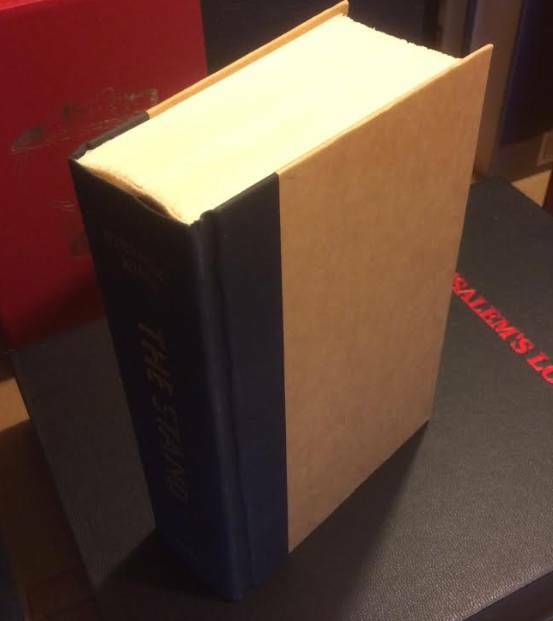 That Screamplays is a big freakin' book! I have a HC of it. 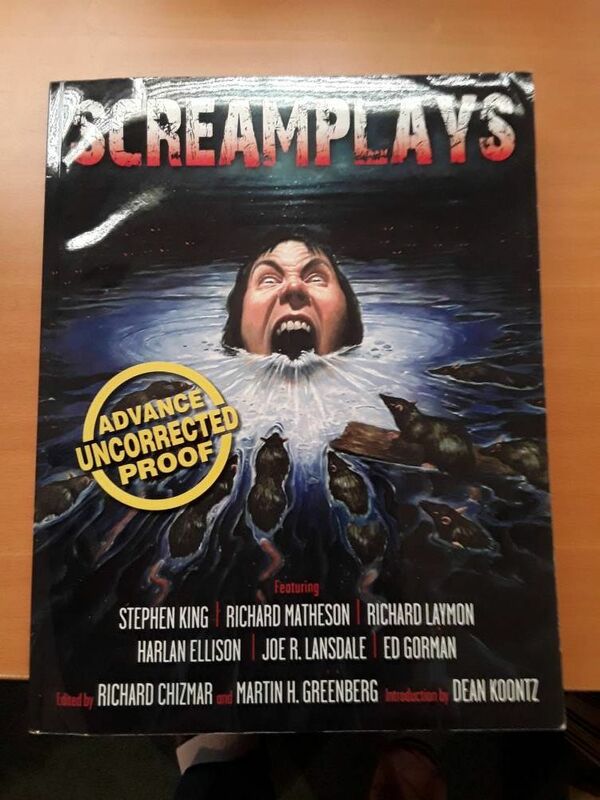 I also say nice, and I am still waiting patiently (mostly), for the lettered edition of SCREAMPLAYS, although I feel like giving up. 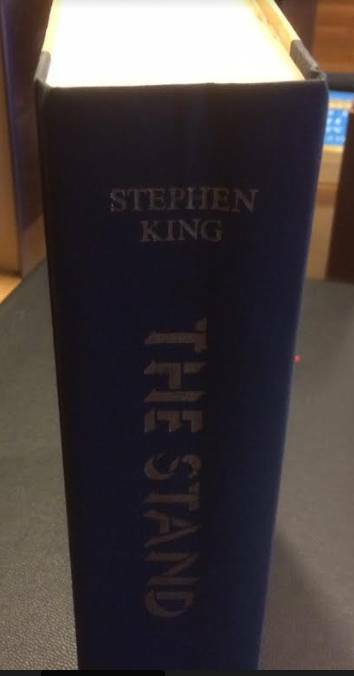 Amazing condition on the "thinner proof"
Thanks every one. I am happy with both proofs. 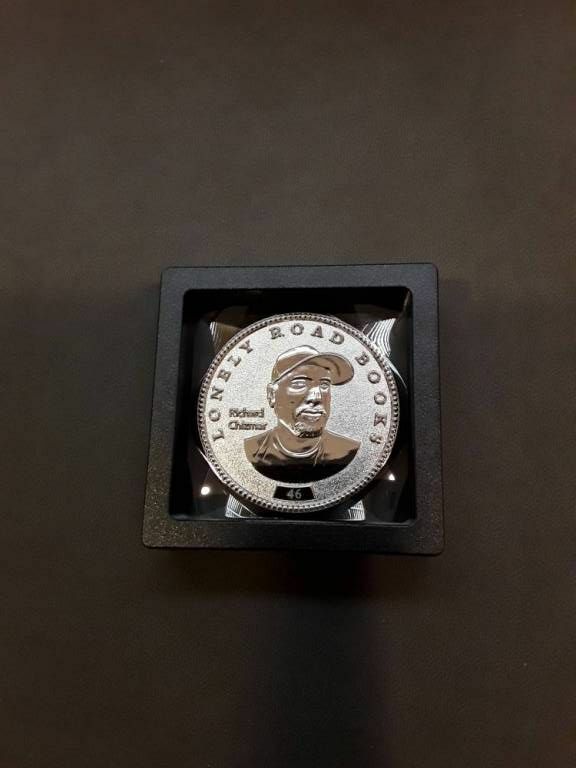 So again, there were only 26 of these so that makes them rare. But the fact that they are not signed by King made them more affordable to me. BUT, the fact that they were signed and remarqued by each artist is pretty cool I think. Now we come to one of the biggies, literally. 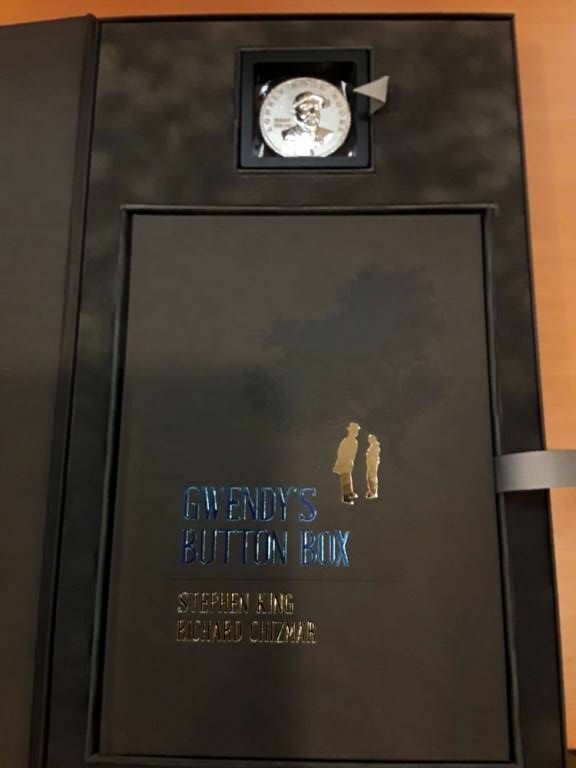 Gwendy's Button Box S\L. 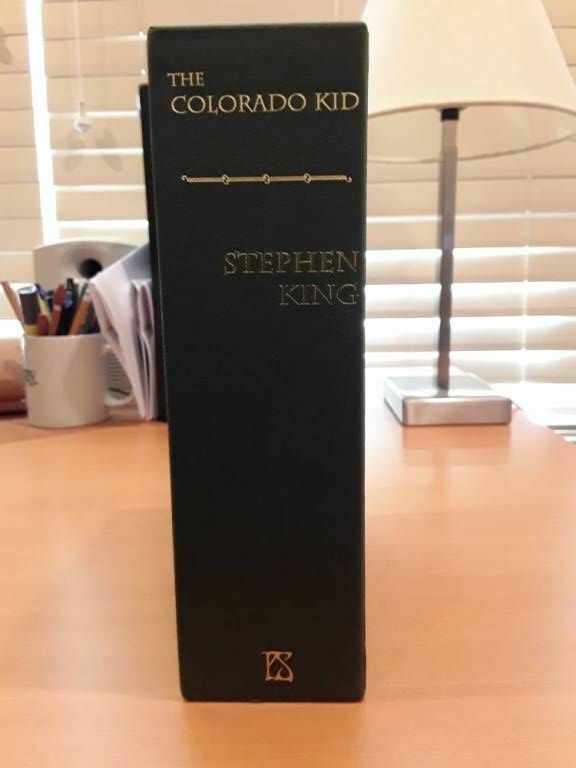 People said the case was large but it was much more impressive to see it in person. Congrats! That's a big one for sure! Thanks Brian. Yes it is. First, I must give Steve Sargent of the UK the credit with this project. 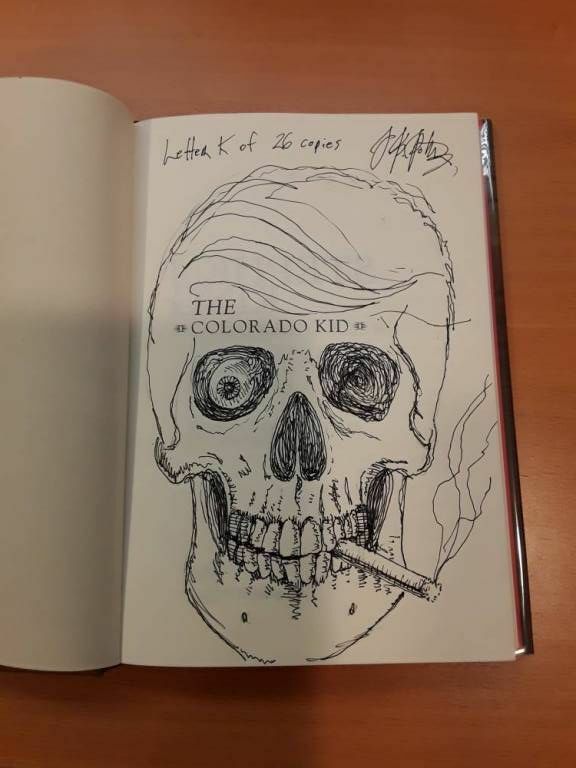 Steve’s a master at getting artist to do incredible drawings in books making them highly collectible. 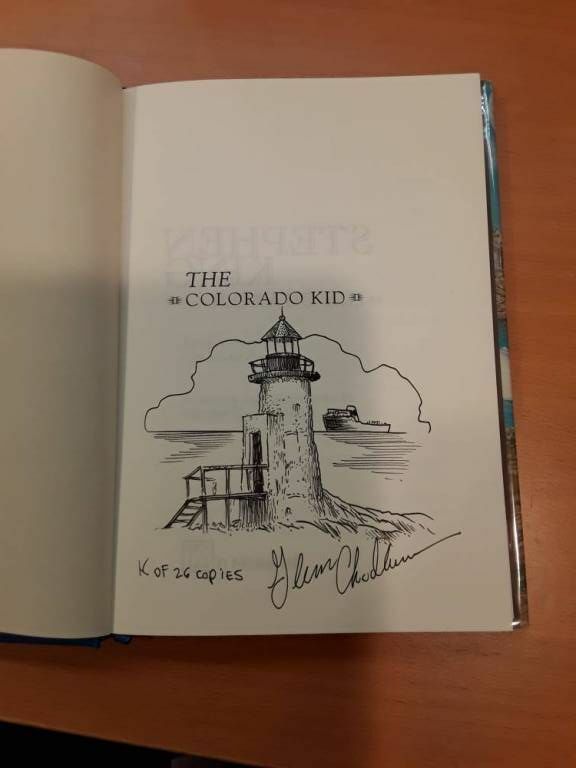 During a conversation with Steve on another project, he brought up a cool idea to see if we could get all three artists to do a remarque project in Colorado Kid editions and house them together in a slipcase. If I remember correct, I was instrumental in getting artist JK Potters contact info and talked Glenn Chadbourne into doing his copies. Steve took care of communicating with Ed Miller (Aka. Les Edwards). Not sure how the lettered part came about but one of the artists mentioned only wanting to do a few so I think Steve asked each artist to do 26 and would they letter each one A-Z as they completed each one. These sets sold out in a couple hours once the project was announced. 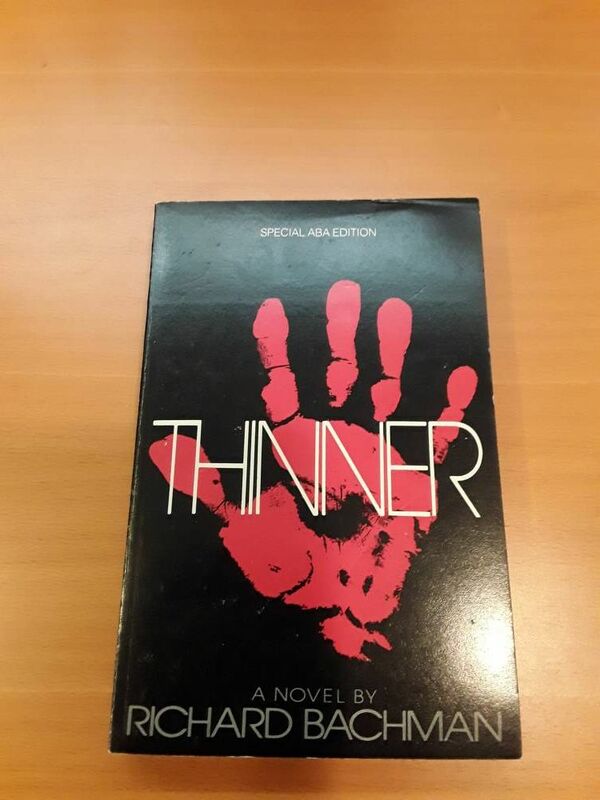 Thomas at StephenKingCollector.com quickly got on board with the project and asked everyone to send him pictures of each copy so he could share photos with the less fortunate collectors who didn’t get a copy. 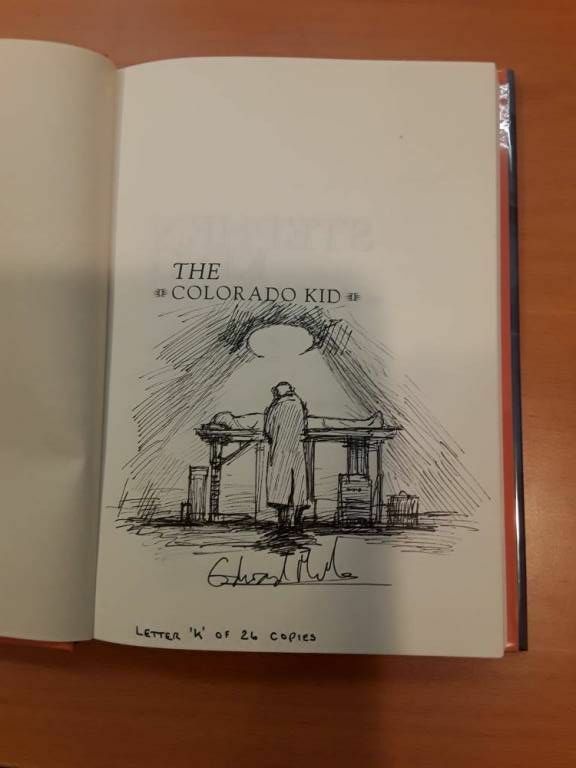 This set became known as the Colorado Kid Artist Edition Lettered Set. Even though it’s an aftermarket project (with only 26 completed), it’s a wanted trio in many collections. Congratulations Michael for obtaining Letter K of a rare set. And Finally, I got what I think is a slightly better Stand than what I have now. I intend on using the DJ I already have since I have to find a better one, despite the tape. So that's it. 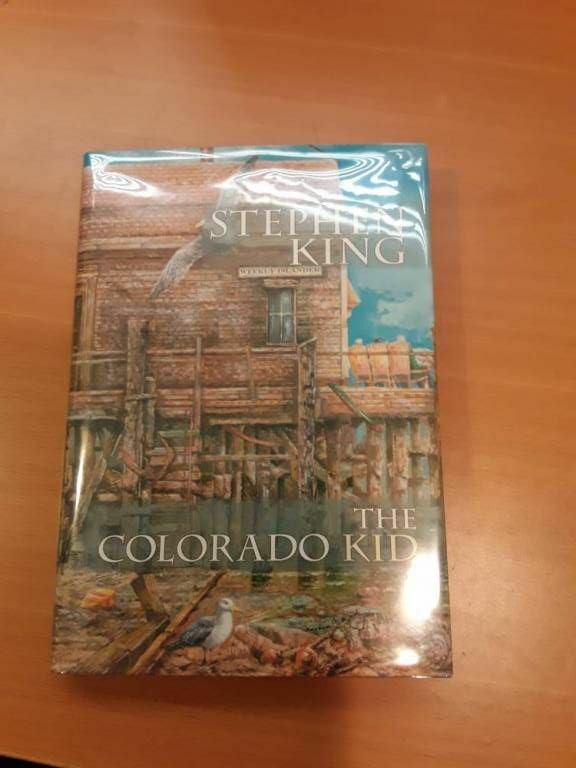 Well, I still have that rare proof but I promised Ralph that I would hold off until I got the case, so you will have to wait for that one. Just to wet your appetite, Ralph told me there are less than 5 of these in out there. Excellent books! 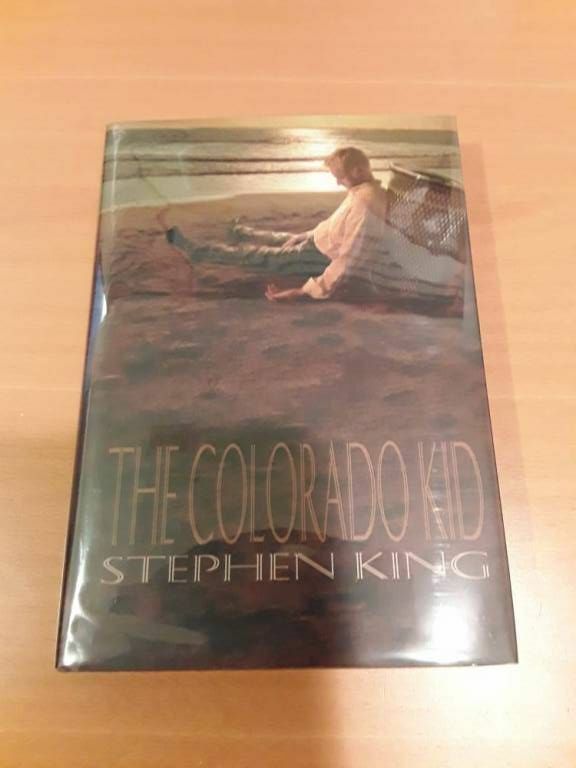 I think I heard about those COLORADO KIDS, but there are so many editions I forgot about them. They look great! 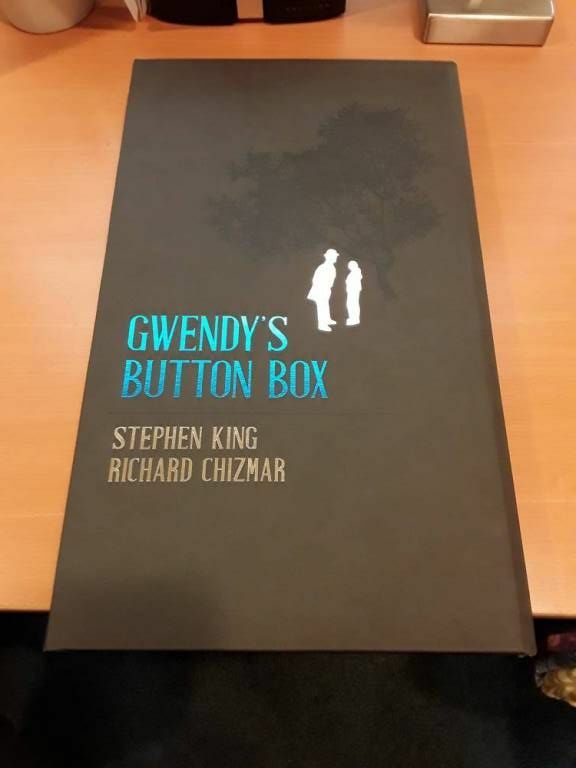 GWENDY'S - a great read and a great limited edition. Thanks Steve. I keep on trying. Now we wait until I can post the other item. Also, how will you conquer the challenge of trying to find a place to fit Gwendy in? Yea, when I get the go ahead, I hope people will enjoy it. As for Gwendy's, it's really not an issue. 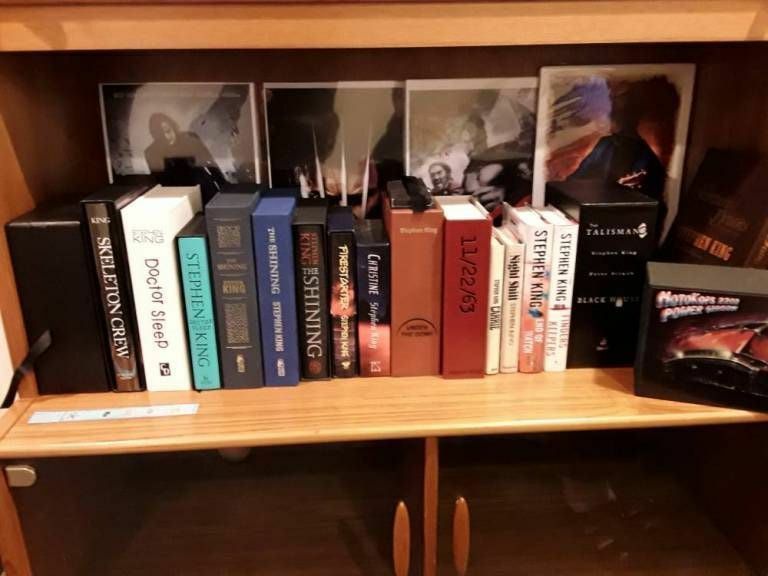 pic with the newer books to show what my case looks like now. Outstanding, Mike! 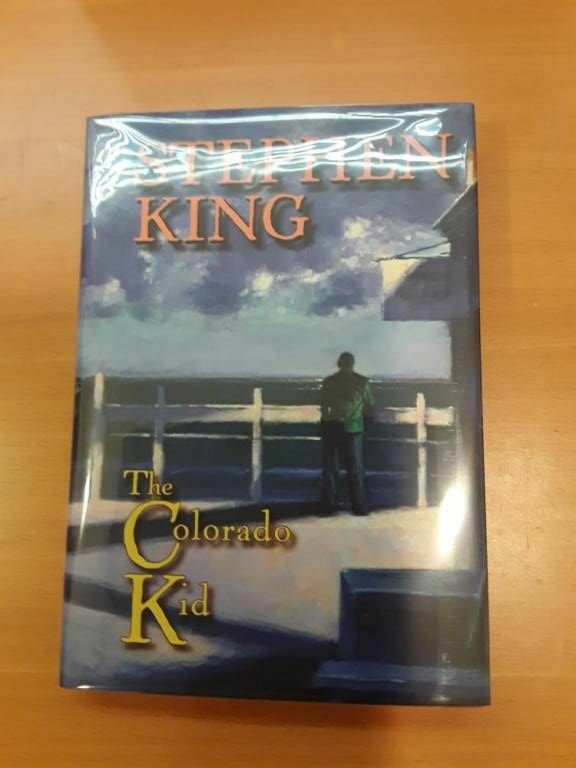 Those Colorado Kids are a real prize! Congratulations! Thanks Peter. Yea they are pretty cool. Thanks Kris. I can't wait until I get newer shots up and when I can share what else I bought. I hope it brings the same response.